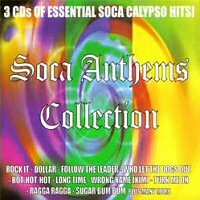 A 2005 re-release of the three volumes of Soca Anthems as a boxed set. Soca music has brought joy to millions of people at Caribbean carnivals throughout the world. The Soca Anthems Collection, from Smokey Joe Productions, captures 39 of the most popular Soca tunes ever recorded.